SERCUL’s new project ‘Ecologically Sound Mosquito Management in Wetlands and Urban Drainage’ aims to identify the best approach to balancing the objectives of improving water quality, enhancing environmental health, reducing the emergence of adult mosquitos and the protection of human health. We are developing a research proposal to work towards a local Integrated Mosquito Management (IMM) approach. This is an ecosystem-based strategy that focuses on long-term prevention of mosquitoes and their diseases through a combination of techniques such as existing biological control, habitat manipulation, modification of cultural practices and continuous educational programs, in association with chemical management options. Public education is a key component of a successful integrated mosquito management program, and once people know where to look, they can identify and eliminate potential mosquito breeding habitats around their homes and neighbourhood. An informed public will help mosquito control officers minimise breeding sites in residential areas, help reduce misinformation and minimise unreasonable demands for chemical application. Ongoing Mozzie Wise education will improve human health by reducing the exposure of mosquito transmitted disease and environmental health by reducing the demand for chemical control of mosquitoes. 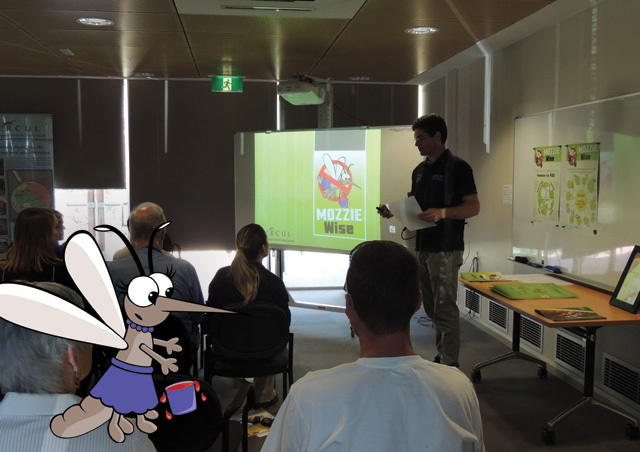 This program can be used in Local Government areas to educate ratepayers about the importance of being Mozzie Wise. A two hour community forum that educates the local community about mosquitoes and their control. Representatives of SERCUL and the Local Government involved would present at this Forum. 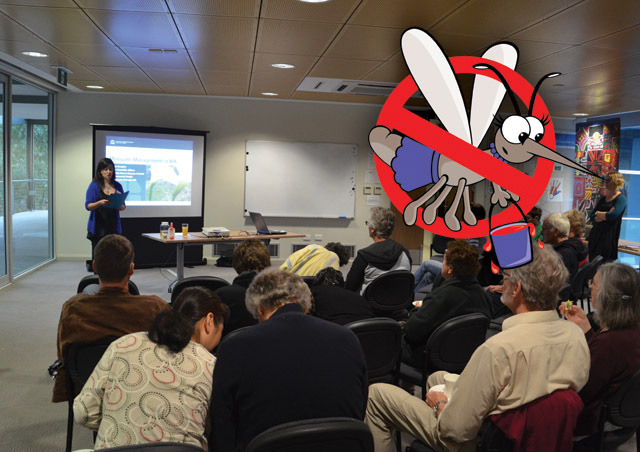 A one – two hour forum can be held with staff of the Local Government involved to update the staff on recent mosquito research and to discuss mosquito issues in their area. A two hour workshop for up to 30 teachers where they learn about mosquitoes and their control. 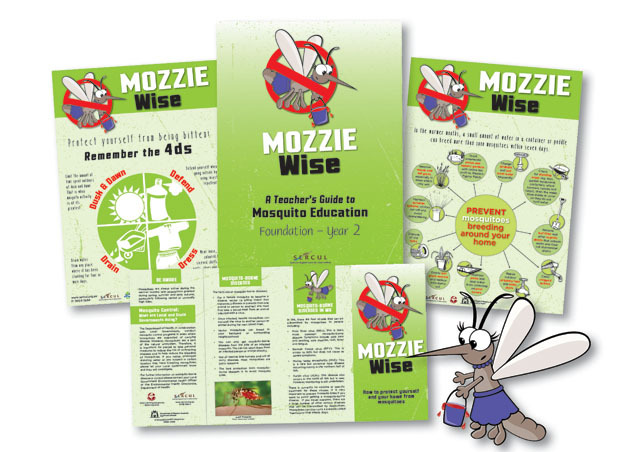 The ‘Mozzie Wise: A Teacher’s Guide to Mosquito Education’ booklets will be showcased and teachers will learn how to implement this curriculum linked resource into their classroom (includes one Teacher Guide per participant). 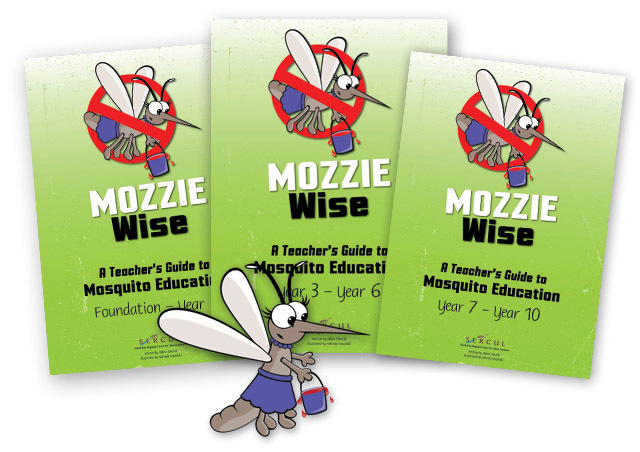 The ‘Being Mozzie Wise’ incursion can be delivered to schools in a particular area. The incursion can be tailored for Kindy – Year 12 students and involves interactive activities where students learn about mosquitoes, their lifecycle, their role in the food chain, where they breed, how to stop them breeding at home and school and how to protect themselves from mosquitoes (includes one Teacher Guide per class). 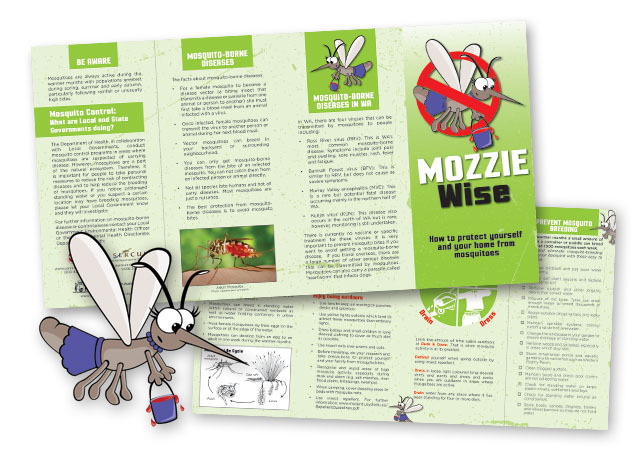 The brochure focuses on common mosquitoes and their breeding habitats, disease risk of mosquitoes, prevention, source reduction and personal protection. This will educate people about the steps they can take to prevent mosquitoes in and around their homes and neighbourhood. This DL brochure can be distributed to ratepayers and covers mosquito facts, mosquito-borne diseases and protection and how to prevent mosquitoes breeding. Posters provide quick messages that will urge the public to do what they can to not produce mosquitoes and to protect themselves when they are out. 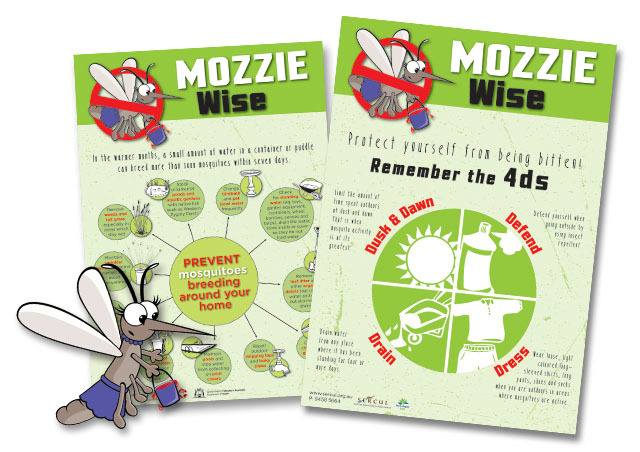 Two posters are available, ‘Prevent mosquitoes breeding around your home’ and ‘Remember the 4ds’ to distribute to libraries and other places. For more information and prices on any of the above components of our Mozzie Wise Program, check out the downloads below or contact SERCUL.